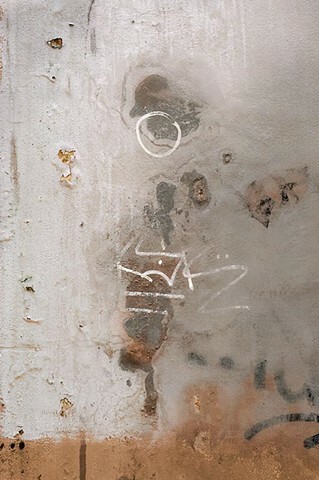 A stone wall in Venice with generational layers of paint upon paint and excerpts of graffiti. I captured this abstraction before the wall is painted over one more time. Macro lens.